From now through the end of 2008, customers who purchase Wordfast Classic — our MS Word-based TM application — for the current price of €250, will receive a free license for our new standalone application, Wordfast Pro, pre-release version now available. Starting in 2009, Wordfast Classic and Wordfast Pro will be sold together for a bundled price of €300. However, if you purchase Wordfast 5.5 before the end of the year, you will receive Wordfast Pro when released, giving you two great TM tools for the current price of €250. 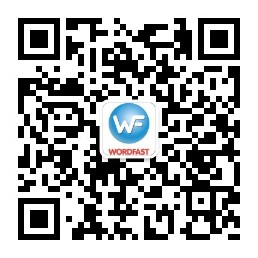 To purchase Wordfast Classic now and receive a free license for Wordfast Pro upon its release, click here. If you already own Wordfast, don't worry — we've got you covered. You've been loyal to Wordfast, and we intend to return the favor. Existing active license holders of Wordfast Classic are automatically eligible for a free license for Wordfast Pro upon release. * For customers located in countries where most residents cannot afford the standard price of software, you can purchase Wordfast Classic now for €125 and receive Wordfast Pro for free upon its release. In 2009, the bundled price for Wordfast in those countries will be €150. To see if you qualify for this discount, click here.